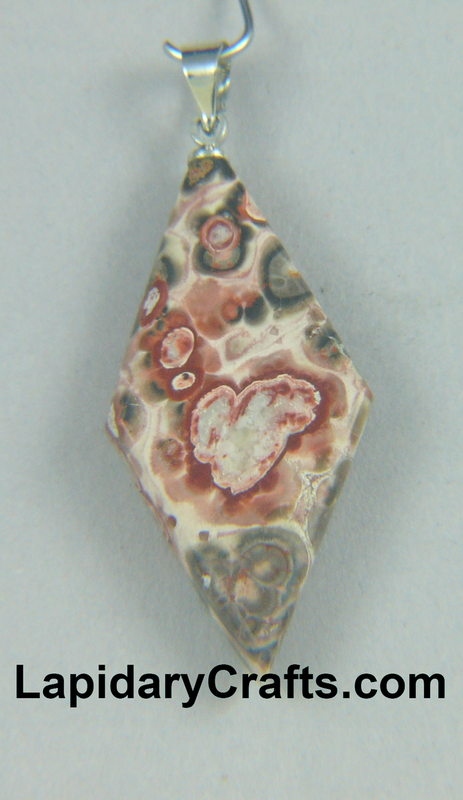 Birdseye Rhyolite is a stone of protection, regeneration, and general healing. Intricate patterns and the diversity of colors in this diamond shaped stone are fascinating. The stone measures 1.38" x 0.68" (35.3 mm x 17.3 mm). See earrings LC-1388 and ask about available chains!